I wrote this a few weeks ago after seeing an ad for Pizza Hut’s new products. This post is the manifestation of the rage I felt after viewing the advertisement. Pizza Hut understands Americans. Not “real” Americans, like Abraham Lincoln or Martin Luther King Jr., but REAL Americans, like Joe Sixpack and Larry the Cable Guy: the kind of real Americans who would know about The Real Americans. The kind of Americans that revel in laziness, unconsciously embrace an inherent and endemic social offensiveness, and tend to be drawn to indulgence in excess, usually without registering it as either indulgence or excess. In other words, consumers. Like you and me. The Hut’s new campaign, which is being rolled out under the above-quoted slogan, is big and bold, like the Honey-Sriracha sauce presented as an option with which to coat your choice of one of ten crusts. And while their new menu certainly embraces the disgusting and unnecessary excess of their market, their advertisements remain deceptively simple. 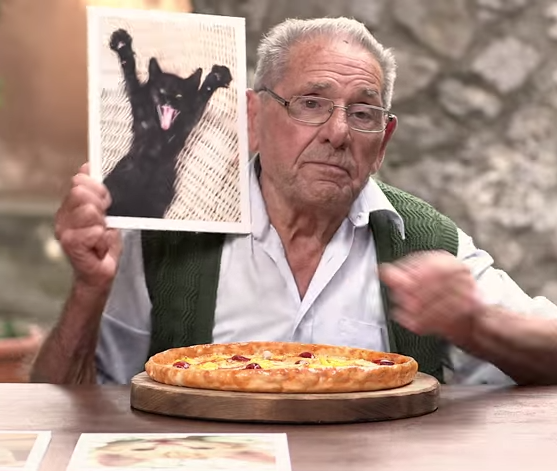 Rather than focus ads on their new, food-based ingredients – like Domino’s did during it’s reinvention a few years ago – they’ve chosen to present their ‘pizzas’ to elderly Italians in an effort to elicits reactions, like a foreign, ageist version of those “Kids React” youtube videos. The ads are worth a watch, if only to see what I’m talking about. The elderly foreigners are endearing, cute and curmudgeonly as they seem to unanimously reject the notion that the swirled monstrosities with which they’ve been presented are actually pizza. Whoa – There’s a line I’d never thought I’d write. But it’s true. During Domino’s aforementioned reinvention of their product, which they called “The Pizza Turnaround”, they openly admitted that their pizza was awful. To be fair, I still think their pizza tastes like processed crap, but the way that they approached their renaissance was refreshingly direct. They responded to feedback. They were honest. And they made a change. Pizza Hut, on the other hand, has taken another route. They’ve also made changes, but rather than admitting that their product needed work, and rebuilding from the ground up, they simply added more – more toppings, more crusts, more sauces, more premade options, more extraneous crap, like optional crust edges and “sauce drizzles” – in what I’m assuming is the hope that in sifting though their greater than 1000 ways (true story) to customize a pizza, their consumers will eventually find an edible combination. 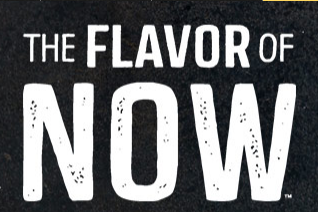 While I find the advertisement and the product offensive in so many ways, I have to admit that it does one interesting thing: it makes an inferential admission that their product isn’t actually pizza. Okay, just so we’re clear, eleven octogenarians is a HORRIBLE representative sample given the assertion that they’re asking the opinion of ALL OF ITALY. They should at least get a twelfth person in there to round it out. That would make it better, right? The first response cut into the commercial is an elderly lady who gestures dismissively and utters “itsa not pizza.” *sigh* Another gentleman repeatedly questions “why”, and yet another seems to assert that it’s not possible to improve pizza. I would agree, Alfonso, and so would Pizza Hut, because what they’ve made is not pizza. 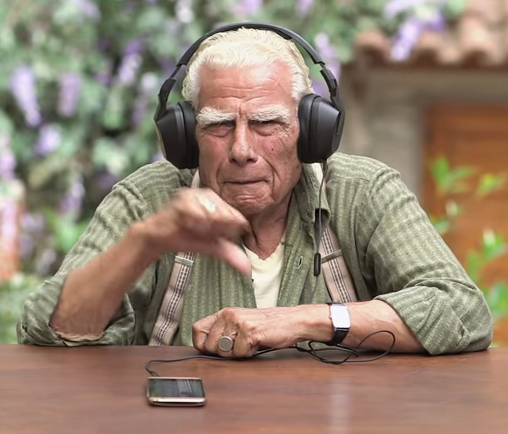 The commercial continues with clips of the elderly individuals, but there’s a distinct transition. Rather than getting their direct reactions as similar ad campaigns have done in the past, this video begins showing their “colorful reactions” to the new ingredients, and then completely unrelated things. The ad goes on to introduce jeggings, the “super easy to use” Pizza Hut mobile app, EDM, and a horsehead mask (which I immediately took as a weird reference to the Godfather), to the same people, and get their reactions to these items as well. They react exactly as you might think. They’re perplexed, revolted, astounded and confused. In other words, they’re embodying all of the emotions that the advertisers want them to… because the subject matter is irrelevant. They’ve thrown the notion of even considering whether or not their “food” is pizza (and with it the original assertion that it is) right off the top of the leaning tower – which, frankly, I’m surprised isn’t a part of the video. Pizza Hut WANTS you to find their pizza experts inept and unqualified. They want you to condemn these sweet nonna’s and nonno’s and make your own decisions, not only about whether or not they’re authorities on the subject, but also about what pizza is, and in doing so, admitting that what they have created may not be pizza after all. And that’s where food lovers have to hold the line. As a self-proclaimed lover of food, and especially pizza, I feel the need to protect what I love. Previous Entry 2014 in review – Thanks for the love!